The SSL 1260 Tap Tempo LFO is a special module indeed. You can set the LFO frequency by tapping the TAP button, supplying a periodic gate to the SYNC input, or by changing the Tempo CV. 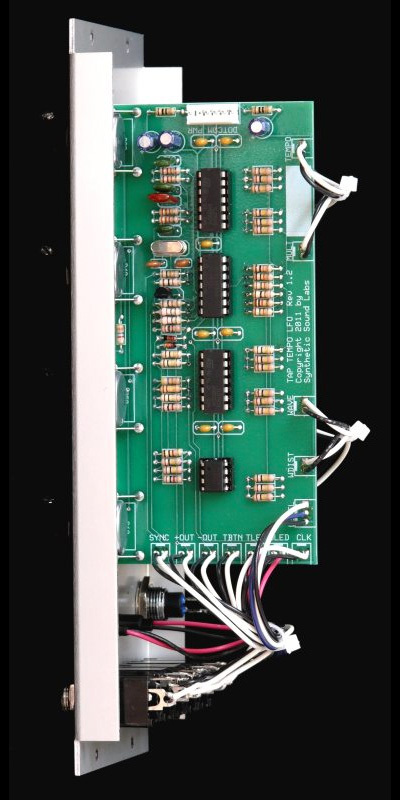 You can build tap tempo effects vibratos and tremolos, tap tempo controlled drum machines or tap tempo sequencer clocks. Or use it the other way around – control the 1260 tempo with a sequencer! You can even use multiple 1260s to create polyrhythmic LFOs using the built-in Multiplier ratios. 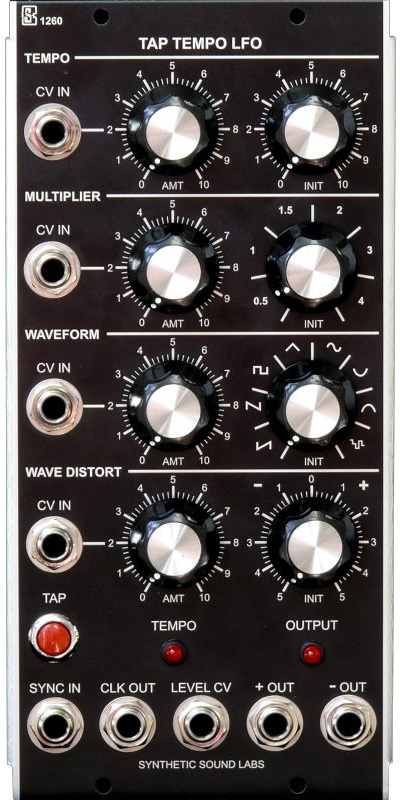 All the waveforms except the random wave can be altered by the wave distortion CV. CAVEATS – In that the 1260 waveforms are produced digitally, it should be noted that some amount of anti-aliasing effects occur at fastest rates. Although normally imperceptable in the majority of cases, very small steps may be heard at extremely slow rates and wide control swings. 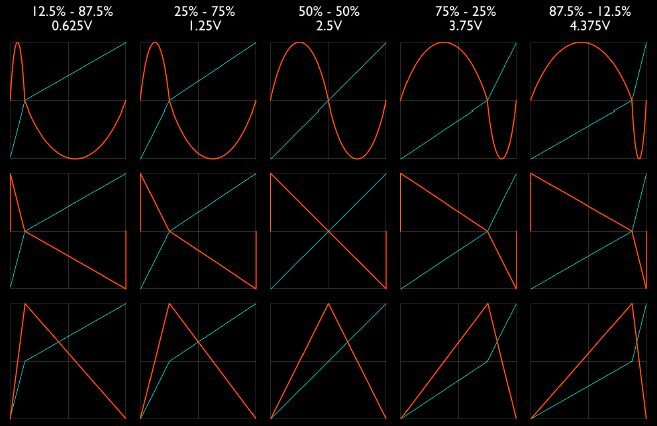 Due to minor component variations, Multiplier and Waveform switching points may not precisely line up with panel graphics. These are normal. 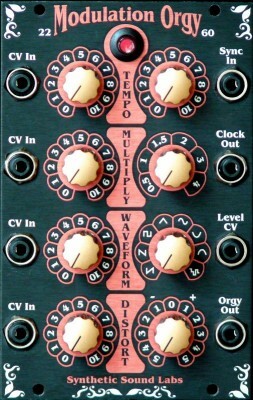 In all, we think you’ll find the 1260 Tap Tempo LFO to be the most fun you’ve ever had with a LFO! 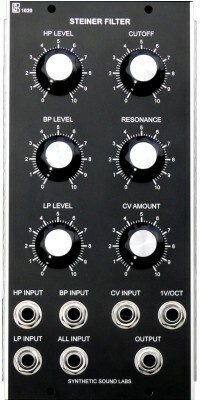 - Tempo, Multiplier, Waveform, Wave Distort, Level CV: 0 to +5V. +5V@..ma, +15V@..ma, -15V@..ma, Synthesizers.com 6 pin Molex standard.